Rapidly re-crafting a large-scale website for a new, dynamic platform — enabling the company to connect with disparate audiences, share content and present a unified brand voice. Leveraging the firm’s technology investment, we created strategic ways to deliver the right content and contacts across a range of user journeys. The company began to actively use the site to target and connect with audiences, and proactively address industry needs across dozens of services and specialties. 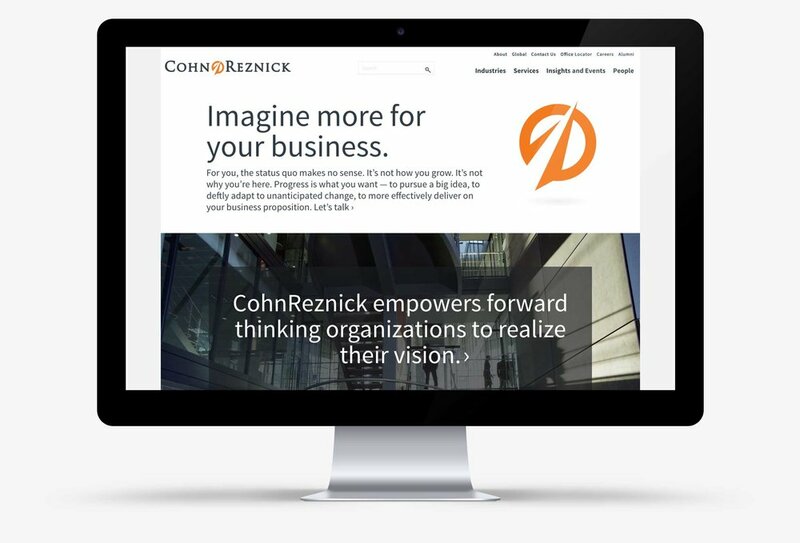 Professional services firm CohnReznick wanted to retire its outdated website and platform before it was required to renew licenses. It also wanted to use its website as a lead generation tool — something the existing site had not been able to do. With this in mind, CohnReznick made a substantive investment in the highly sophisticated Sitecore platform, which collects user data and dynamically generates relevant content to site visitors. CohnReznick needed to quickly identify its target audiences, gather its thought leadership and content, and determine its messages across a wide number of disparate service and industry specialties. The best first step is to set a strategic plan, so Carpenter Group began with an in-depth messaging engagement and a user journey exploration. This provided the foundation to rapidly create a content strategy, user-experience and UI page prototypes. Our UI design was informed by close collaboration with the client and the Karbyn development team to ensure a smooth and rapid transition between design and implementation. Concurrently, we dove into each of the service areas and industry specialties, giving them a consistent voice while revealing and clearly expressing their unique aspects and flavors. Ultimately, the site was able to accommodate scores of thought leadership and event content, and brought in direct points of contact throughout pages that facilitated lead generation. 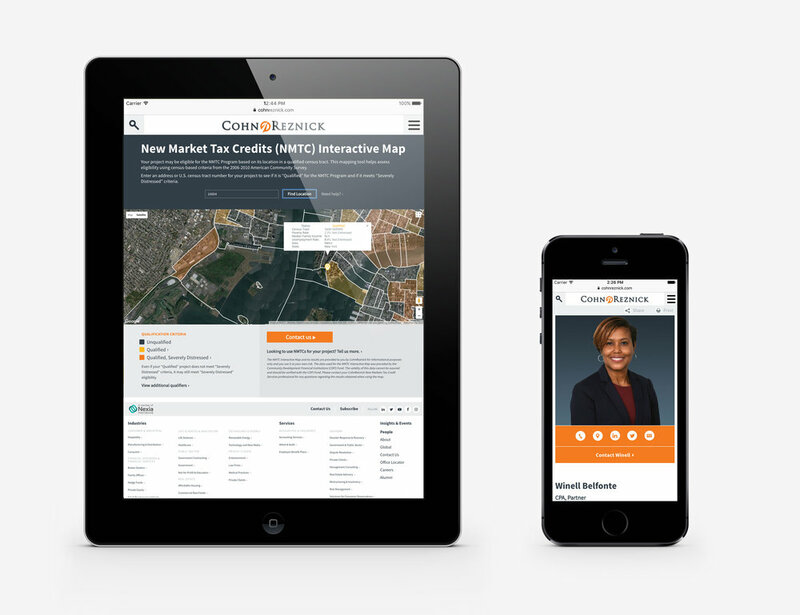 Carpenter Group enabled CohnReznick to launch the site within several months. At launch, the firm spoke with a unified voice, establishing its presence in the competitive market and making its marketing efforts all the more cohesive. The dynamic, content-rich experience inspired internal units to see the web as a viable means of reaching prospects and generating leads. 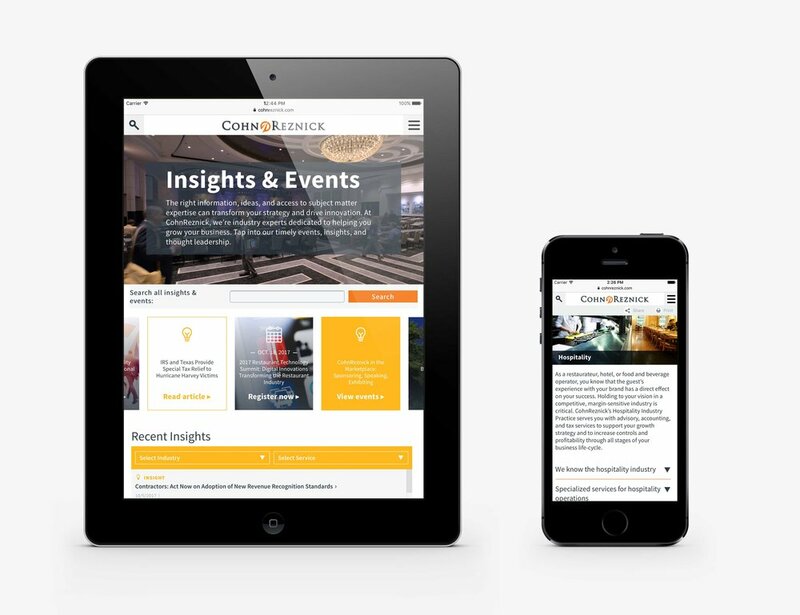 Immediately, CohnReznick professionals began to leverage this powerful marketing tool to generate and publish timely information, promote forums and events and proactively address issues in their respective industries or service areas.